OMEN 15-dc0100tx is a 15.6-inch notebook with a Core i7 processor, 9 MB cache, 8 GB RAM, 1 TB HDD storage, and runs on Windows 10 OS. The lowest price of HP OMEN 15-dc0100tx is P62,248 at enigma technologies, which is 8% less than the cost of OMEN 15-dc0100tx at abenson, Lazada, villman and BENSON COMPUTERS (P67,990). The latest price of HP OMEN 15-dc0100tx was updated on Apr 15, 2019, 09:20. 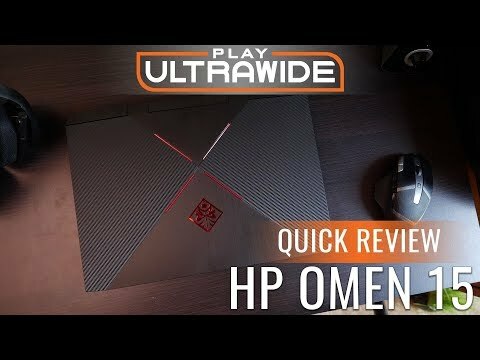 What makes the HP Omen 15 Stand Out Amongst The Others? The HP Omen 15 has the black-and-red aesthetic that is found on most gaming laptops. It has a good color scheme but did not use premium materials. When you look at its design, it has a black lid with four red lines forming an "X." The X divides the lid into quadrants: It has a two covering which is in carbon fiber and two in plastic made to look like brushed aluminum. The top quadrant features the Omen logo which is a shiny red and attractive to look at. It has a huge 15.6-inch, a 4K screen display that is quite bright and has vibrant color hues. It has 313 nits of brightness, which is far luminous than other gaming laptops in its category. The HP Omen 15 keyboard has a red lighting backlit with the exception of the WASD keys, which are in white letters and red keys. It does not have a customizable sRGB backlighting in any color which could be more attractive and fun to use. It has 4x2.2 inches touchpad. It looks and feels a bit little when using it for browsing the web or navigating Windows 10 with it. It has great gestures like if you need to pinch and tap to open up Cortana, which is an added feature on the laptop since its using Windows 10. Another amazing feature of the HP Omen 15 is the built-in Beats Audio Dual Speakers. It is nice and loud, filling the whole place when you turn it on and listen to any good music or watch a great movie. The vocals are clear, though it is slightly overpowered by some musical instruments used in the background, it's like the bass was almost nonexistent. The laptop also has an Audio Control app, so there will be no problems adjusting the bass, treble and vocal clarity. This will give more balanced with the sound or music, which needs to take time to hit the right kind of sound you especially its bass. The HP Omen 15's Nvidia GeForce GTX 1060 with Max-Q design and 6GB of VRA. This won't power games to take advantage of the 4K display, but it's more than enough to play games at smooth frame rates with a 1080p resolution. The HP Omen 15 is powered with a 2.8-GHz Intel Core i7-7700HQ CPU; 16GB of RAM; a 1TB, 5,400-rpm HDD; and a 256GB SSD. Talking about its battery life, it has a 4-cell 58WHr 3.82Ah lithium-ion polymer battery. For a gaming laptop battery power, it needs to be plugged in almost all of the time, especially while you're gaming. It can last just 3 hours and 18 minutes with continuous browsing in the web over Wi-Fi, which makes it a little over half of the mainstream average. The webcam of this laptop is far brighter than most embedded laptop cameras, and colors appear extremely accurate with 1080p. For its external ports, it has a Multi-format digital media card reader for Secure Digital card, 4 SuperSpeed USB 3.0, all supporting USB Boost, Mini DisplayPort, 1 HDMI, 1 RJ-45 (LAN), and 1 Headphone-out/microphone-in combo jack. The Hewlett-Packard Company or popularly known as HP is one of the top leading manufacturer and distributor of consumer electronics, software, and more worldwide. In the Philippines, HP is indeed the best choice for Personal Computer, Laptop, and even mobile phone. It has highly exceeded customer expectation with its variety of products. 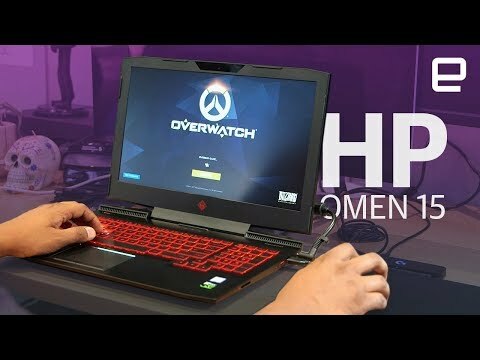 The HP Omen 15 will surely give all gamers a new feel every time they use this, something that all HP consumers experience with all its devices.